An alarming number of Americans are overweight, obese or at risk of diet-related chronic diseases, according to the 2010 Dietary Guidelines for Americans provided by the USDA. Specifically, a diet high in fat contributes to the risk of high blood cholesterol, heart disease, obesity, hypertension and Type 2 diabetes. On the other hand, consuming too little fat can jeopardize the absorption of necessary vitamins and essential nutrients. Staying within the ideal amount of daily fat you consume can help maintain a heart-healthy life. The 2010 Dietary Guidelines for Americans recommends that adults get just 20 to 35 percent of their total calories from fat. Children ages 1 to 3 years old should consume 30 to 40 percent, while children ages 4 to 18 years of age should get 25 to 35 percent of their calories from fat. Also, you should limit the calories from saturated fat to 10 percent or less of your total calories, limit trans fat to less than 1 percent of calories and reduce cholesterol to no more than 300 milligrams per day. The specific amount of fat you need will depend on the amount of total calories you consume each day. Based on a 2,000 calorie diet, your recommended fat intake is around 400 to 700 calories per day, which is 20 to 35 percent. Since each gram of fat has 9 calories, your ideal amount ranges between 45 to 78 grams of fat per day. Your recommended saturated fat intake is 22 grams or less per day. If you are at risk or have heart disease, reduce your saturated fat intake even further to 7 percent of your calories, equivalent to 140 calories or 15 grams per day. Trans fats should be limited to no more than 20 calories or 2.2 grams per day. As much you should limit the total amount of fat consumed, it is equally important to get your daily intake from the right types of fat. Replace saturated fats in your diet with foods high in monounsaturated and polyunsaturated fatty acids, which can reduce LDL, the "bad" cholesterol in your blood, which lowers your risk of heart disease.. Polyunsaturated fats should make up no more than 10 percent of your calories, or about 22 grams each day if you follow a 2,000-calorie diet, and monounsaturated fats should make up the remaining fat in your daily allotment, usually amounting to between 12 and 20 percent of calories, or 26.7 to 44.4 grams per day. 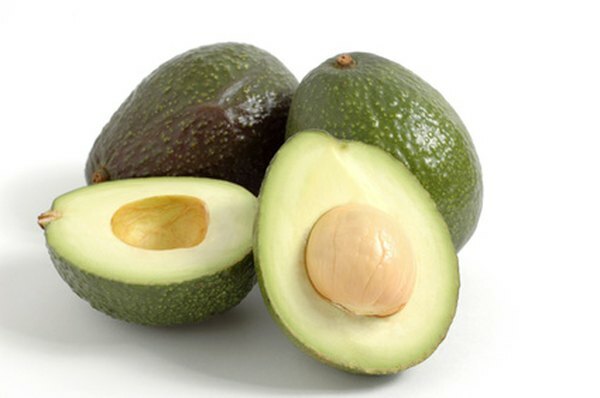 Good sources of polyunsaturated fats include fish, corn oil, sunflower seeds, soybeans and safflower oil, and good sources of monounsaturated fats include nuts, avocados, olive oil and canola oil. Fats high in saturated and trans fatty acids remain solid at room temperature, hence the term “solid fat.” Solid fats can raise blood cholesterol levels and increase the risk of heart disease. Trans fat can raise your bad cholesterol and lower your HDL, or "good," cholesterol, further increasing your risk of heart disease. To keep within your ideal amount of desirable fat, choose lean, low-fat or fat-free meats and poultry, and limit solid fats like butter, cheese, cream, butter and coconut oil from your diet. Avoid foods containing hydrogenated oils, as these contain small amounts of trans fats even if the food label states it is trans-fat free.